2,682 sq ft; lot: 4792 sq ft - MLS# 1408237 Courtesy of Redfin Corp. 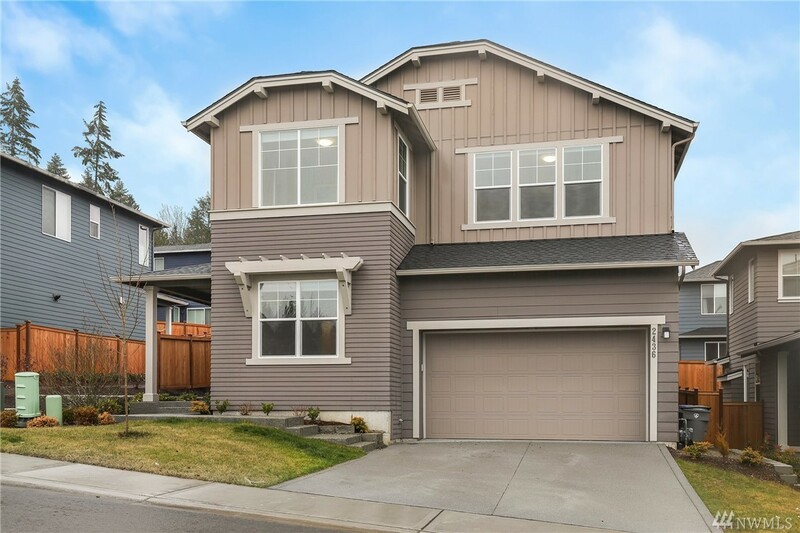 Better than new 2018 Quadrant home in Mountain Aire community w/ upgrades galore that were chosen for a forever home. Upgrades include white cabinetry, built-in Whirlpool appliances (+gas range), Central AC, 3/4 bath on main, custom cellular shades, Lutron lighting, Ring doorbell, Nest thermostat & Alexa integration. Expanded patio area for entertaining. Great location across from neighborhood park, near schools & convenience to Bangor sub base, Naval Shipyard & Kingston Fast Ferry to Seattle!